The decision by the Egyptian Natural Gas Holding Company to cancel a controversial deal which supplies Israel with natural gas at below-market prices dominates Egyptian and Israeli media comment, with all commentators noting political dimensions to the move that could have significant consequences for bilateral relations. The story broke too late on Sunday evening for the morning newspapers, but Egyptian TV channels were full of analysts seeking to explain the move. State broadcasters followed the official line that this is a trade dispute. Channel One TV hosted political analyst Mahmud Zahir on its morning discussion programme. He firmly denied that the story endangered the Camp David peace accords between Egypt and Israel, and noted that the cancellation of the contract "could be reversed" at any time if payment were received. The official Nile News TV channel's From Cairo programme interviewed Ibrahim Issawi, a former deputy oil minister, who also emphasized the commercial aspect of the decision. In contrast, coverage on private Dream 2 TV was more strident, and demanded clarification from the Egyptian military government about what the decision means. A presenter described the Israeli reaction as "hysterical", "outrageous" and "expressing a kind of uncontrolled nervousness". On its Sunday night 10 PM programme the presenter said "we want to know the circumstances surrounding this decision, which was a wish for some people and a nightmare for others". Gen Samih Sayf al-Yazal told the programme that that an Israeli warning to its citizens to leave Sinai three days earlier had been a "pre-emptive move" after Israel had allegedly learned of Egypt's intention to suspend gas supplies. He said the cancellation was "in response to popular wishes with respect to the gas issue. 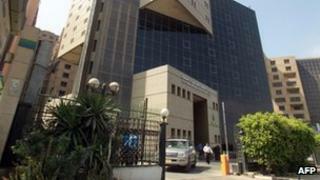 The Egyptian people feel shocked about this contract, and feel that their money has been plundered". He was sure that Egypt's military government, which has not commented so far, was consulted on the decision. The Gas Holding Company "cannot take such a decision without informing the country's leaders", Gen Al-Yazal concluded. Prominent Egyptian Facebook and blog commentators noted the official reticence. The 6th of April Youth Movement's Facebook page reported the news with suspicion: "Ten minutes and we will find a denial of the news from another part of the leadership." On her English-language blog "Egyptian Chronicles", Zeinobia commented, "Ok news is contradictory in Cairo. There are military sources as well as the minister of oil in Egypt that have denied the news that they cancelled the agreement to export gas to Israel while there are confirmed sources saying that Cairo has cancelled the deal !!" Twitter users were generally enthusiastic, Leftwing Nasserite presidential candidate Hamdin Sabbahi tweeted: "I hail the decision to stop exporting Egyptian gas to the Zionist entity. We hope the implementation of the decision will continue out of respect for the will of the people and the judiciary's rulings, and in order to protect our national wealth." Israeli public broadcasters concentrated on statements by Israeli officials, in particular Foreign Minister Avigdor Lieberman's call for Egypt to reverse its decision so that the commercial disagreement might not turn into a "political issue". Press comment was gloomier, with a general view that relations can only deteriorate further. Zvi Barel in liberal Ha'aretz said that "if it turns out that Egypt has really unilaterally decided to terminate the agreement, it may be a dangerous precedent that indicates other agreements between Egypt and Israel may also come to an end". Amir Ben-David in mass-circulation Yediot Aharonot also saw a threat to the Camp David accords: "This move could turn out to be a first, fundamental step in abrogating the peace agreements." Boaz Bismuth in the pro-government freesheet Yisrael Hayom went even further, saying that "our southern neighbour could turn into an enemy state much earlier than expected. Egypt will no longer supply us with gas, but will continue to supply us, regrettably, with other combustible material".